Clean the engine front cover sealing surface. Wear safety glasses when using compressed air in order to prevent eye injury. To ensure proper engine lubrication, clean clogged or contaminated oil galleries in an approved solvent and with compressed air. Failure to clean oil galleries may cause engine damage. Clean the shown oil gallery with solvent and compressed air. Blow compressed air from bore (2) to bore (1). 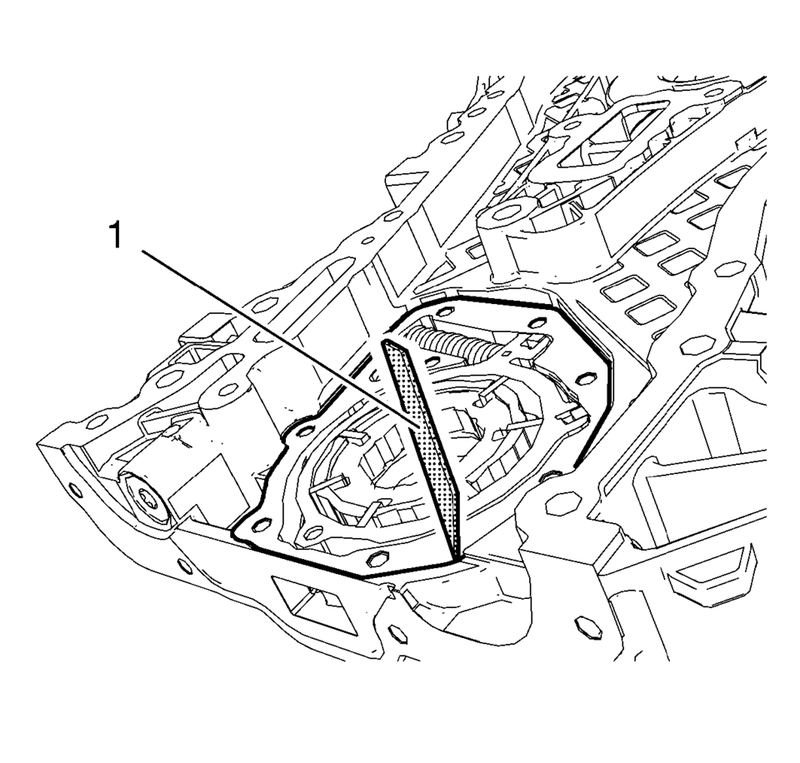 Inspect the engine front cover for cracks, scratches and damage. 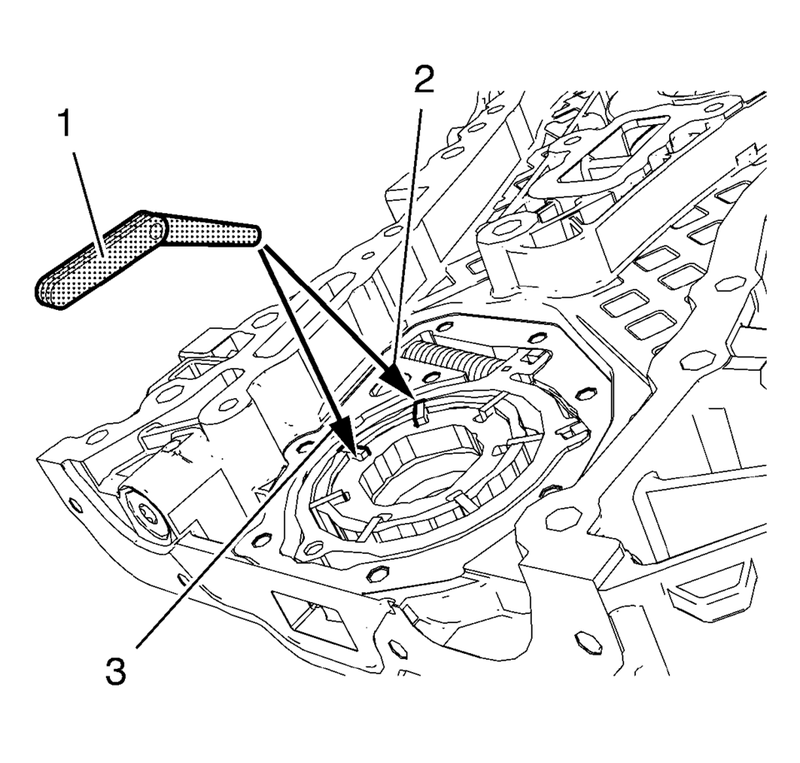 Inspect the oil pump cover and the engine front cover for flatness. Inspect the oil pump vanes, the oil pump vane rotor, the oil pump vane rings and the oil pump slide for localized flatting. Inspect the oil pump slide pivot pin for firm seat. Oil pump components are installed. Measure the oil pump axial clearances. Use a straight edge (1) and a feeler gauge. The maximal axial clearance between engine front cover and oil pump vane rotor should be 0.1 mm (0.004 in). 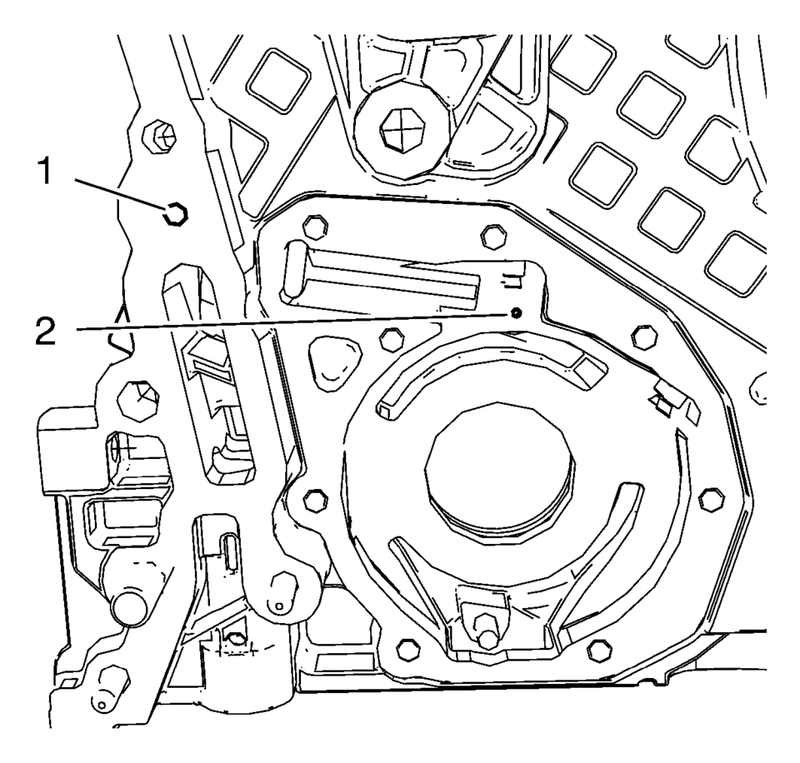 The maximal axial clearance between engine front cover and oil pump vane should be 0.09 mm (0.0035 in). The maximal axial clearance between engine front cover and oil pump vane ring should be 0.4 mm (0.016 in). The maximal axial clearance between engine front cover and oil pump slide should be 0.08 mm (0.0031 in). The maximal axial clearance between engine front cover and oil pump slide seal should be 0.09 mm (0.0035 in). Measure the oil pump radial clearance. Use a feeler gauge (1). Measure the clearance between oil pump vane rotor and oil pump vane (3). The maximal clearance should be 0.05 mm (0.002 in). Measure the clearance between oil pump vane and oil pump slide (2). The maximal clearance should be 0.2 mm (0.008 in).